This is a notice to all Jamb Candidates for 2017 JAMB Admission Processes that the Results of those who have concluded they JAMB Examination is out and has been released by the management. 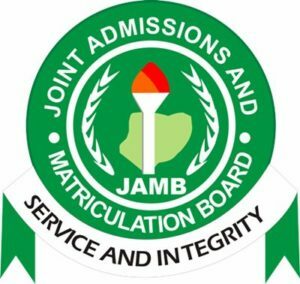 All those participated in the JAMB Examination which kicked off on the 13th of May 2017 are hereby informed that they can now check they JAMB Result as it has been released and uploaded online by the management of the Joint Admission and Matriculation Board (JAMB). We are writing this article to alert and Update those who wrote the JAMB Exam and is now anticipating to know when the results will be out, that it has been finally released and uploaded online. 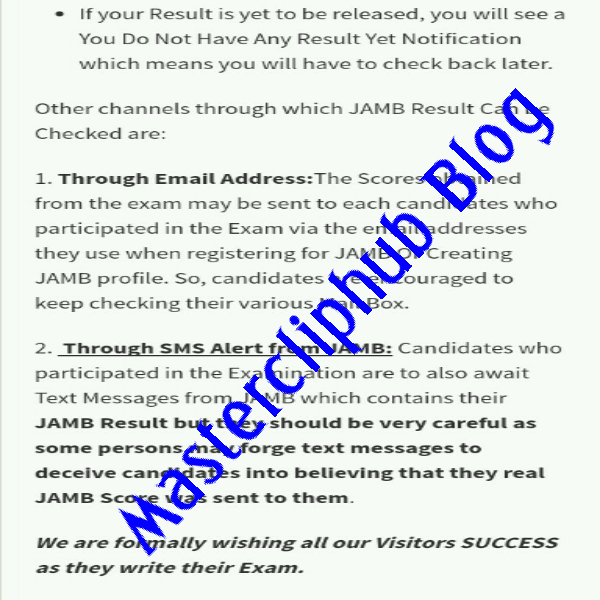 If your Result is yet to be released, you will see a You Do Not Have Any Result Yet Notification which means you will have to check back later. 1. 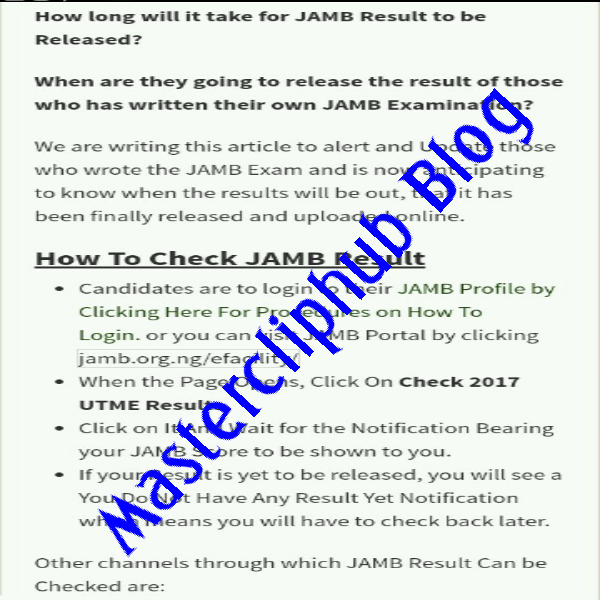 Through Email Address:The Scores obtained from the exam may be sent to each candidates who participated in the Exam via the email addresses they use when registering for JAMB Or Creating JAMB profile. So, candidates are encouraged to keep checking their various Mail Box. 2. 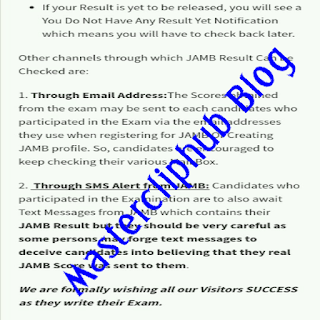 Through SMS Alert from JAMB: Candidates who participated in the Examination are to also await Text Messages from JAMB which contains their JAMB Result but they should be very careful as some persons may forge text messages to deceive candidates into believing that they real JAMB Score was sent to them. 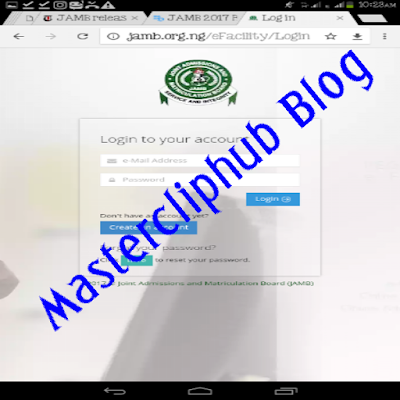 We are formally wishing all our Visitors SUCCESS as they write their Exam.